“Behold, I, Samuel, a Lamanite, do speak the words of the Lord which he doth put into my heart; and behold he hath put it into my heart to say unto this people that the sword of justice hangeth over this people; and four hundred years pass not away save the sword of justice falleth upon this people. Such precise prophetic predictions are rare in scripture. Even within Samuel’s own discourse, there is another prophecy—the sign of Christ’s death—where the exact timing is not mentioned (see Helaman 14:14, 20–27). It seems likely that when the exact timing is included in the record, the timing itself was somehow significant. 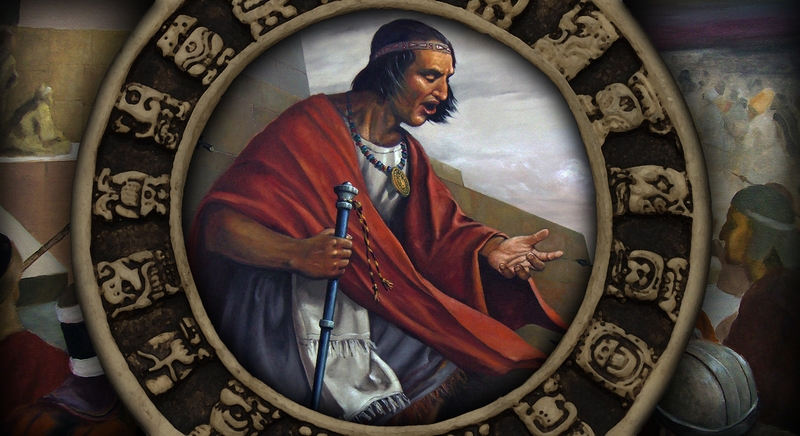 Another LDS Mesoamericanist, Mark Wright, suggested, “Samuel the Lamanite may have been making a hotun prophecy when he stated that in ‘five years’ signs would be given concerning the birth of Christ (Helaman 14:2).” Interestingly, according to Sorenson, “In Yucatan at the time of the Spanish conquest, the ruler or his spokesman … had the duty to prophesy five years in advance what fate the next twenty-year katun would bring.” In similar fashion, Samuel the Lamanite prophesied the fate of the next baktun (Helaman 13:5, 9), and apparently did so five years in advance (Helaman 14:2). Mesoamerican anthropologist Prudence M. Rice explained, “Time is a cultural construct. Its units of measurement, meaning, and so on are unique in terms of legitimizing power and authority.” It is therefore highly significant that Samuel the Lamanite’s chronologically precise prophecies each used time periods that were likely important within the broader cultural context of the Nephites. The use of these culturally important time periods likely served to legitimize Samuel’s prophetic authority and credibility. According to Wright, part of that symbolism would have made the prophetic utterance relevant for Samuel’s contemporary Nephite audience. Mesoamerican views of time were cyclical—meaning they expected certain events to repeat themselves over the course of each katun or baktun. Thus, a prophecy of destruction in 400 years—in one baktun—could also be considered a warning of destruction in the here and now. Indeed, Samuel warned that at that very moment, “the sword of justice hangeth over this people,” that “the anger of the Lord is already kindled against you,” and that the only way out was repentance followed by continuing faith in Jesus Christ (Helaman 13:5–6, 30). Meanwhile, the hotun was a period commonly celebrated and commemorated, as was the katun. Samuel’s prophecy warned the people in advanced that the next hotun would truly be a cause to celebrate—it would mark the birth of the Lord and Savior into the world. Mormon recorded that the coming of the sign did indeed bring “glad tidings unto the people” (3 Nephi 1:26). The occasion was no doubt honored and celebrated for hotuns and katuns to come, not only as marking the birth of Christ but also in commemoration of the miraculous timing of the sign—coming, as it did, just in time to spare the believers from being executed (3 Nephi 1:8–16). This background also potentially explains why a specific time frame for the sign of Christ’s death goes unmentioned in Samuel’s prophecy. It did not come at the completion of an important unit of time, as did the birth of Christ (a hotun) and the ultimate fall of the Nephites (a baktun). Mormon, it seems, mentioned the specific time frame of these events when it coincided with time cycles deemed important within the surrounding culture. 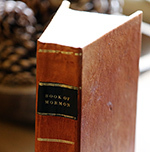 The prophetic use of highly symbolic time periods in Book of Mormon prophecy appears to be an example of the Lord speaking “unto men according to their language, unto their understanding” (2 Nephi 31:3; cf. Doctrine and Covenants 1:24). While Samuel’s prophecy in Helaman 14 never mentions the timing of the sign of Christ’s death, it is evident from 3 Nephi 8:1–4 that the timing had been revealed to the Nephites at some point. Whether it was Samuel who revealed the timing or someone else is not clear, as it only says that the people “began to look with great earnestness for the sign which had been given by the prophet Samuel” (v. 3). Only the sign, not the timing, is connected to Samuel. Perhaps the timing was revealed by the “just man” who kept the record and “did many miracles in the name of Jesus” (v. 1). It could also have been revealed in some of the “much preaching and prophesying which was sent among them” in the wake of the first sign (3 Nephi 2:10). If it was Samuel, it would appear that Mormon omitted that detail when he copied over Samuel’s prophecies, perhaps for the reasons suggested here: the timing did not coincide with a number full of symbolic significance. For general reference and background on the Mesoamerican calendrical systems, including the long count (tun) system, see Mary Miller and Karl Taube, An Illustrated Dictionary of the Gods and Symbols of Ancient Mexico and the Maya (London, UK: Thames and Hudson, 1993), 48–54; Kaylee Spencer-Ahrens and Linnea H. Wren, “Arithmetic, Astronomy, and the Calendar,” in Lynn V. Foster, Handbook to Life in the Ancient Maya World (New York, NY: Oxford University Press, 2002), 250–260; Joel W. Palka, The A to Z of Ancient Mesoamerica (Lanham, MA: Scarecrow Press, 2010), 22–23. John E. Clark, “Archaeological Trends and Book of Mormon Origins,” in The Worlds of Joseph Smith: A Bicentennial Conference at the Library of Congress, ed. John W. Welch (Provo, UT: BYU Press, 2005), 90. John L. Sorenson, An Ancient American Setting for the Book of Mormon (Salt Lake City and Provo, UT: Deseret Book and FARMS, 1985), 274. It is important to note that the Nephites need not be using the Mayan calendar to nonetheless recognize the sacred importance of these numbers in the calendaring of their neighbors, and to even be influenced in such a way to as also give weight and import to time cycles of 5, 20, and 400 years themselves. Though commonly referred to as the “Maya” calendar system, it was known throughout Mesoamerica and likely had its origins among the Olmec between 500–400 BC. The earliest long count date attested is 36 BC, on Stela 2 in Chiapa de Corzo, confirming it’s use in Samuel’s time. See Gardner, Second Witness, 5:177; Foster, Handbook to Life, 36–37. Interestingly, Chiapa de Corzo is in Chiapas, Mexico in the Grijalva River valley, believed by some scholars to be the land of Zarahemla. Chiapa de Corzo is even identified by some scholars as the Nephite city of Sidom. See John L. Sorenson, An Ancient American Setting for the Book of Mormon (Salt Lake City and Provo, UT: Deseret Book and FARMS, 1985), 5–38, 148–167, 197, 204–206; Joseph L. Allen and Blake L. Allen, Exploring the Lands of the Book of Mormon, revised edition (American Fork, UT: Covenant Communications, 2011), 748–749, 770–772; John L. Sorenson, Mormon’s Codex: An Ancient American Book (Salt Lake City and Provo, UT: Deseret Book and Neal A. Maxwell Institute for Religious Scholarship, 2013), 128, 581–585, 592, 597–598. John E. Clark, “Archaeology, Relics, and Book of Mormon Belief,” Journal of Book of Mormon Studies 14, no. 2 (2005): 47. Also, Clark, “Archaeological Trends,” 90: “The Book of Mormon records several references to a significant four-hundred-year prophecy, consistent with this idiosyncratic Mesoamerican calendar practice.” In addition to Helaman 13:5, 9, see Alma 45:10; Mormon 8:6; Moroni 10:1. John L. Sorenson, “The Book of Mormon as a Mesoamerican Record,” in Book of Mormon Authorship Revisited: The Evidence for Ancient Origins, ed. Noel B. Reynolds (Provo, UT: FARMS, 1997), 409; Sorenson, Mormon’s Codex, 193, 440–441. Rice, “Time, Memory, and Resilience,” 16. Sorenson, Ancient American Setting, 274. Personal communication to Book of Mormon Central staff. Sorenson, Mormon’s Codex, 439; Rice, “Time, Memory, and Resilience,” 13, 16: “For the Maya, time was simultaneously linear and cyclical, an endless—‘timeless’—rotation of k’atun, b’ak’tun, and multiple eras of creation (as in the Popol Vuh).” Spencer-Ahrens and Wren, “Arithmetic, Astronomy, and the Calendar,” 247: “The cycles dominated Maya thought and resulted in a deterministic view in which history repeated itself. If a given day or period resulted in dreadful consequences once, it would do so again when the day returned or when the cycle repeated itself.” Just as with the important numbers themselves (5, 20, and 400 year cycles), the Nephites need not be using the Maya calendar itself in order to have enculturated views of time as cyclical. Spencer-Ahrens and Wren, “Arithmetic, Astronomy, and the Calendar,” 257, noted, “each k’atun expressed a prophecy of the future while at the same time embodying the historical past.” Samuel seems to be expressing the same concept, only using a baktun rather than a katun. Evidence for these notions of cyclical time may be evident in the Book of Mormon. For instance, notice that 20 years (one katun) after Samuel said “the sword of justice hangeth over this people” (Helaman 13:5), Mormon reported that “the sword of destruction did hang over” the Nephites once again (3 Nephi 2:19). Wright, “Nephite Daykeepers,” 253; Rice, “Time, Memory, and Resilience,” 13. Again, for Nephites influenced by the surrounding culture, 5, 20, or 400 year periods can be deemed important, celebratory occasions without necessarily adopting the Maya calendar. See Mark Alan Wright, “‘According to Their Language, unto Their Understanding’: The Cultural Context Hierophanies and Theophanies in Latter-day Saint Canon,” Studies in the Bible and Antiquity 3 (2011): 51–65. How does "Choice above all other lands" and Mesoamerica fit ?